Two international nuclear industry events are traditionally held in September. On 13–15 September, London will host the World Nuclear Association Symposium. This is the most important annual event for the global nuclear industry, bringing together hundreds of nuclear energy experts from all over the world to discuss a wide range of issues. The symposium will provide unique opportunities for establishing business contacts and information exchange, among them an exclusive gala dinner and an exhibition of major suppliers and utilities. The two-day event will be attended by 600 nuclear professionals, industry reps from 30+ countries and high profile speakers. On 18–22 September 2017, the 61st IAEA General Conference will be held in Vienna. 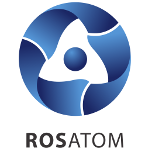 As part of the conference, a scientific forum entitled Nuclear Techniques in Human Health: Prevention, Diagnosis and Treatment will take place on 19–20 September.